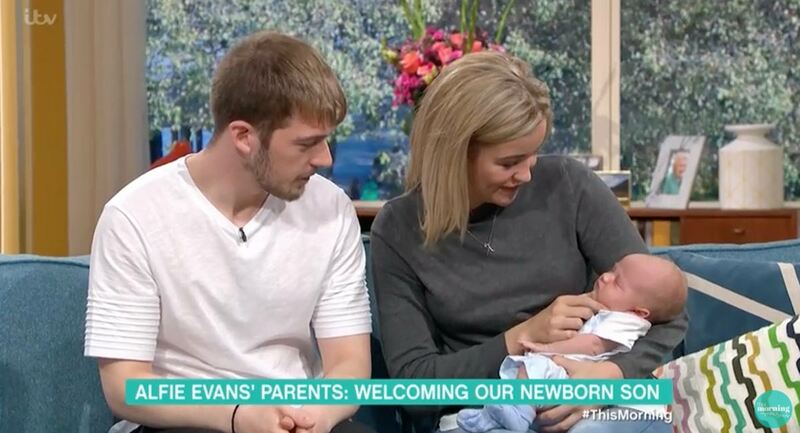 Their newborn son was tested for the same disease but was found not to have the condition. The couple says they have a 25 percent chance of passing the condition on to any children they conceive. “Children living with the condition do not usually live past two years of age,” says the article. However, Alfie was denied a chance at further study and treatment by the UK courts and Alder Hey hospital, and his life support removed even though a Rome hospital was prepared to transport and treat him at no cost. We will never know if Alfie would have survived with further treatment. Kate noted that one of her fears was how she would feel, having another baby after losing her precious Alfie. But she says instead of “resenting” baby Tom as she feared she would, she sees much of his brother in him. “He frowns and stretches like Alfie, he is just a double. When I had him, I wondered ‘what if he does resemble Alfie’, how will I feel. It’s nice to be able to say his name and feel positive,” Kate said.